You can talk about China, how vast the market is, the scale of the opportunities and how complex it can be to access these opportunities but nothing provides insight like spending time in market. 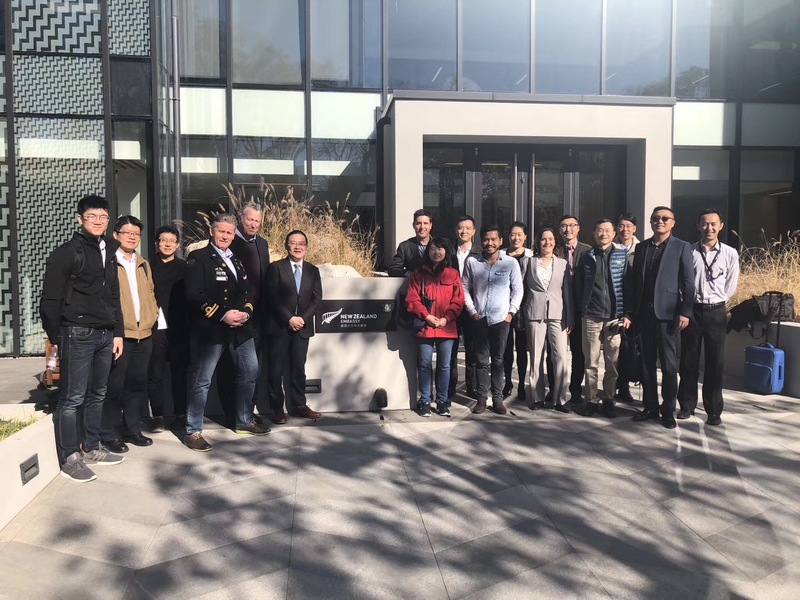 This is the thesis behind the Zino study tour which aims to expose key NZ angel investors and start-up founders to the Chinese speaking markets. The objective is to position these markets as an alternate to the current de-facto international expansion strategy, which targets the US market and venture capital. Our first destination was Taiwan, which is Nelson’s (Zino partner) home turf. Our first tour was the National Palace Museum. Most of the collection are high quality pieces collected by China’s emperors and moved from the Forbidden City in Beijing to Taiwan in the 1940’s. It was a fantastic introduction to Chinese culture and highly recommended to anyone visiting Taiwan. The most interesting meeting in Taiwan was with Jason Hsu, a.k.a Crypto Congressman who is a Legislator and Member of Parliament in Taiwan, for a discussion session on Policy and the Regulatory Environment of Block chain and Fintech Industry in Taiwan. Jason is a successful tech entrepreneur who is now focused on bridging the gap between public policy and technology. He is currently working to make Taiwan – Blockchain Island, that is an international centre of excellence in all things blockchain and crypto-currency. 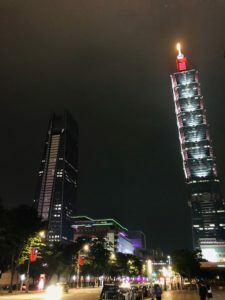 This focus on a single key technology draws upon Taiwan’s success in making itself a global leader in chip technology. We also visited two incubators, Taiwan Tech Arena and FutureWard Central. The first meeting included a presentation from Lewis Chen, Deputy General Director of Taiwan’s legendary Industrial Technology and Research Institute (“ ITRI “). ITRI is ( in their words ) one of the world’s leading technology R&D institutions which aims to innovate a better future for society. 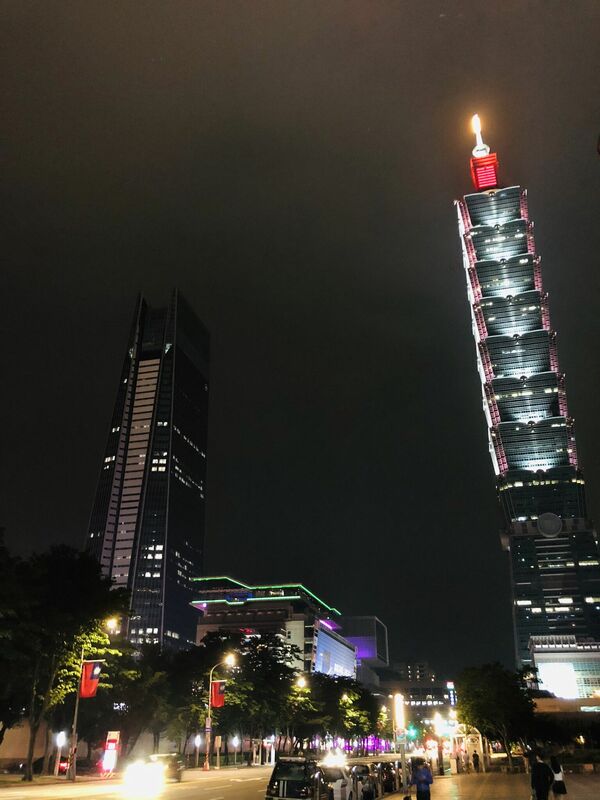 Founded in 1973, ITRI has played a vital role in transforming Taiwan’s industries from labor-intensive into innovation-driven. It focuses on the fields of Smart Living, Quality Health, and Sustainable Environment. The focus in Taiwan was clearly on picking winners, an interesting counterpoint to NZ’s hands off approach. Due to a visa issue I was unable to travel to Shanghai with the rest of the tour so spent 3 days in Hong Kong relaxing in the Chinese Visa Application Service Centre, applying for an urgent tourist visa. Enough said. Key lesson is to pay the extra dollars for a multi entry visa. 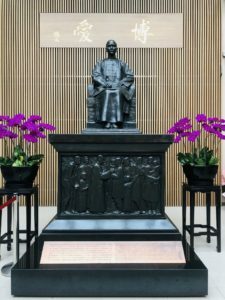 I caught up with the tour in Beijing, where we were staying in the Zhonggauncu, ( “jong-gwan-soon”) often referred to as the “Silicon Valley” of China and the location of both TsingHua and Peking Universities. 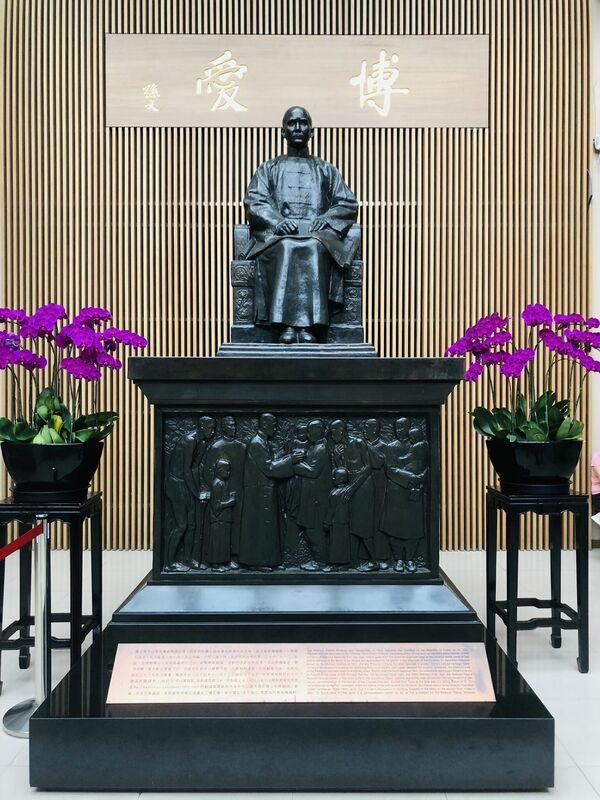 These are the elite Chinese universities ( think Oxbridge or Harvard/MIT) that are at the heart of the Chinese innovation eco-system. George, the founder of Zino is a graduate of TsingHua. 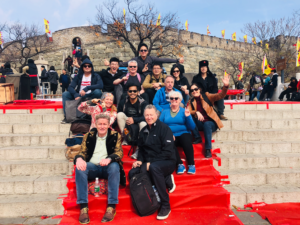 As an aside we enjoyed 3 beautiful, cool, bluebird days in Beijing, which is almost unheard of and a good reason to visit the city in the short autumn season. We are on the Great Wall! “He who has never been to the Great Wall is not a true man.” With this ancient Chinese proverb (or is it a Wall marketing slogan?) in mind we visited the Wall on the Sunday. The next day ,Oct 29, kicked off with a “Creating New Value Forum “at the TsingHua X- elerator ,which is a start-up acceleration platform for global entrepreneurs and start-ups, affiliated with TsingHua University. This platform has been very successful with over 300 global start-ups accelerated and over $100m invested. The incubator environment was very familiar, almost everybody spoke English and it would have been an easy place for a NZ start-up to be based. Here George’s partner at Jubilee Capital, Xu Jian gave an overview of the China VC market which highlighted that for the first time in 2017 there was more money invested into the seed/venture and PE markets in China than in the US. From the X-elerator we walked to Sinovation Ventures, stopping for lunch in Chuangye Dajie (Avenue of the Entrprenuers) , which is a famous location in Chinese VC history. 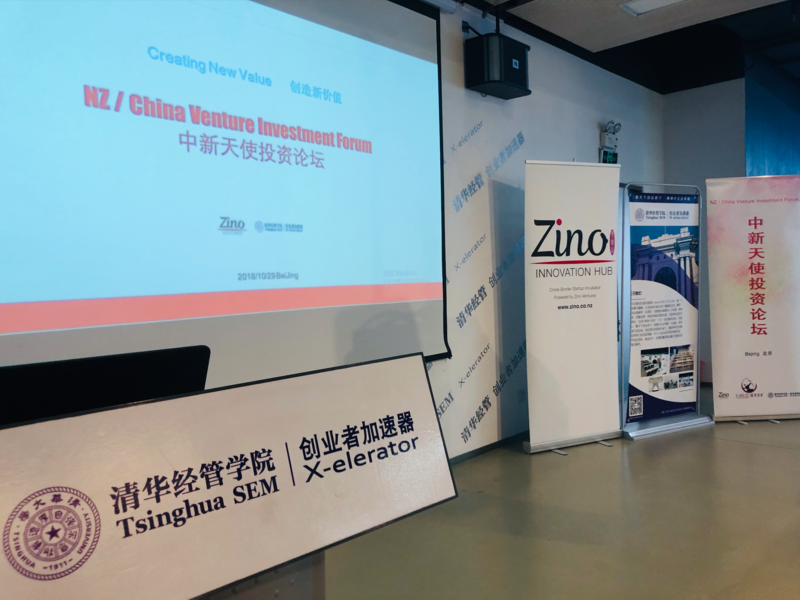 This was China’s first innovation zone, established in 2014, where old electronic retailers and markets where forced out in favour of VC firms, start-ups, incubators and service providers. 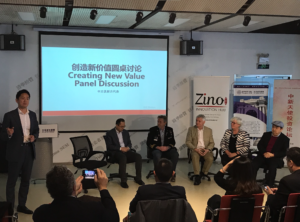 This was the first of a flood of new innovation zones and government backed venture funds created in response to the CCP’s “ Mass Innovation and Mass Entrepreneurship “ policies. Sinovation Ventures is a leading Chinese Venture firm founded by Kai-fu Lee, the then President of Google China, in 2009. Just to put this in context, the visits to Sinovation and ZhenFund the next day would be like visiting the Valley and rolling into Sequioa and Kliener Perkins. 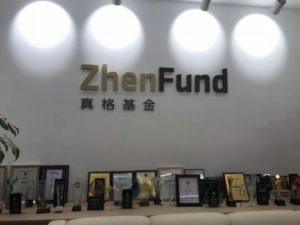 In fact ZhenFund is partially owned by Sequioa. So thanks to George and his partners at Jubilee for pulling out all the stops and getting us into some of the hottest VC’s and start-ups in town! First up at Sinovation was the Trophy Wall. You get your plaque on the Wall at USD100m of value, a unicorn sticker at USD1b and 2 unicorn stickers at +USD2b. It was a long wall. I counted 13 unicorns for a fund that was not yet 10 years old. Sinovation is right at the forefront of AI and many of the unicorns such as Face++, the world leading facial recognition software, are in this space. 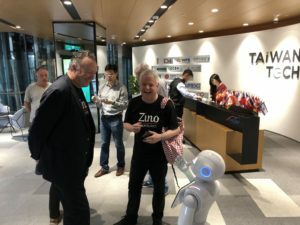 Kai-fu has recently published “AI Superpowers – China, Silicon Valley and the New World Order” in which he outlines why China will be the dominant player in the AI space. (China is the Saudi Arabia of data!) This is an excellent read which also covers the history and characteristics of the Chinese venture market. We then had a presentation which covered Sinovation’s portfolio and approach. 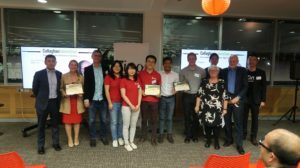 The stand-out slide for me was “Tough markets begets Tough Entrepreneurs – gladiator like entrepreneurs, backed by strong fund raising capacity, working 996”. That is 9am to 9pm, 6 days a week. The basic theory here is that there is no stigma to copying a good idea in China and that any decent start-up will be copied hundreds or thousands of times. Only the excellent (and the hard working) survive! That was the theory. We then visited Waterdrop, a pioneer in social insurtech, which had launched a range of NFP mutual insurance products across WeChat. The first and simplest product was Waterdrop Fundraising which enabled members requiring a medical procedure to crowd fund from other members. This then stepped up to Waterdrop Mutual, which was mutual pools of similar aged members and finally Waterdrop Insurance, which was the commercial, offering. In a country where many people have limited access to comprehensive health insurance and hence quality healthcare, this start-up is solving a massive pain point. In 24 months, Waterdrop has garnered 56mm members, has more than a thousand FTE’s and has just cracked a RMB 1B per month of donations. The rate of scale- up of this business from idea to 1000FTE’s is almost inconceivable to NZ investors and entrepreneurs. To give you an idea of the angel money chasing good entrepreneurs when the founder of Waterdrop, Shen Peng, announced (via WeChat of course) that he was leaving his current employer to found his own start-up he had been offered USD1.5m in angel funding by the end of the day. The last day in Beijing started off with a visit to the NZ Embassy where Trade Commissioner, Liam Corkery, hosted us. The Embassy, which is now the largest globally, is brand spanking new and looks like a slice of NZ plonked down in Beijing. 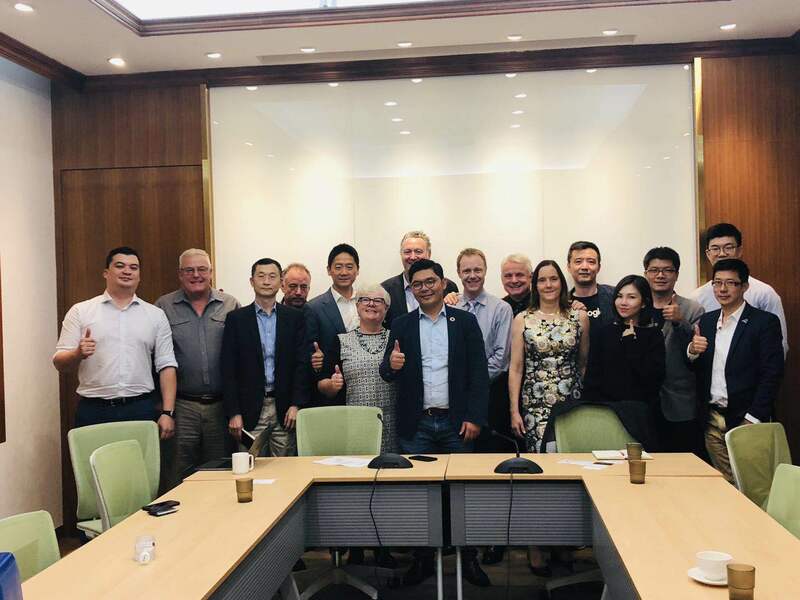 Here we met the local management of the Vista Group China JV to talk us through how NZ tech companies really crack the China market. Localised products and management, persistence, the right partner and importantly excellent, round the clock customer service all play a part. Vista first entered the market in 2007, established its office in 2012 and then got real traction when they partnered with Tencent affiliate Weiying in 2016. 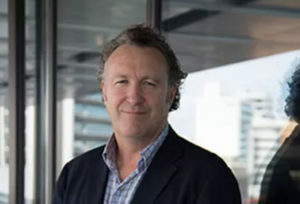 Today Vista China is the market leader in cinema software solutions, and an inspiration to other NZ tech companies tackling this market. 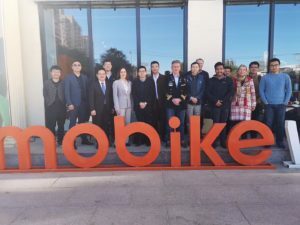 Then onto to Mobike, which was the first shared micro-transport start-up globally. The founder of Mobike, Hu Weiwei wanted to bring back the bicycling culture to China. She did this and along the way sold her company after 3 years for USD3.4B. Mobike has triumphed over many copycats (including the Ali-baba backed Ofo) through the speed of scale-up (they reached 20 million transactions in 11 months) and, as Eric Lu, President of Mobike who dropped in for a chat informed us, the lowest operating costs. 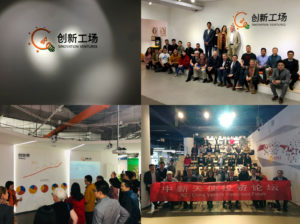 If you are wondering why the President of Mobike dropped into to see a bunch of Kiwi’s its because he is a recipient of an Edmond Hilary Scholarship and wants to “build the relationship between NZ and China for the benefit of both countries”. This is clearly a Government initiative that is getting some real traction! Two final comments from Mobike. Firstly there is only one city globally that Mobike has withdrawn from. The level of casual vandalism in Manchester was unsustainable which is hardly surprising if you know any Manchurians. Secondly Mobike has chosen not to supply electric scooters, as it believes they are too dangerous due to the small wheels. Interesting perspective given the debate in NZ around these scooters. Our final visit was to ZhenFund that was founded by the founders of New Oriental, (Bob Xu and Victor Wang) one of the first Chinese unicorns in the education sector, together with Sequoia China. It’s an early stage fund with a highly differentiated approach, which focuses on backing founders and teams. It is renowned for the number of teams it looks at (24,000 pa or 4 each day for each team member), the size of its portfolio (+600) and its success (14 unicorns with each fund returning an IRR of +30%). Allan Guo, Founder of LightintheBox who had joined us for dinner on Sunday night is a partner there as well. One of the interesting observations from the trip was that at almost all of the companies/funds we visited, we were hosted by Chinese millennials who had been educated at top Western universities, recruited into global brand name companies and then departed for a Beijing start-up. This is now the aspirational career choice amongst young elite Chinese, a transition that has only occurred recently as the CCP has endorsed tech entrepreneurship and Chinese parents have followed this lead. This has led to a flood of top managerial talent back into the local start-up eco-system, which has got to be positive. You do not have to be in China for long to realise that it’s a very food-focused culture and our trip is best described as a series of meals with meetings in between. I love Asian food but you do have to approach China with an open mind. Beijing feels very westernised and sophisticated but the food is nose to tail and everything that has its back to the sun. There were a number of culinary firsts for me – pig snout, congealed duck blood, fried scorpions and most memorably terrapin (farmed!). This was served on the shell along with lamb on the bone, sort of a Chinese “surf and turf”. This tasted pretty good but I suspect anything washed down with a 2002 Grange tastes OK. Thanks to George again for hosting us at a truly memorable banquet. 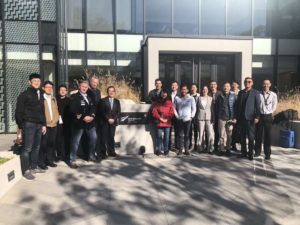 For me this year’s trip was memorable for the insight it provided into China’s “parallel internet universe” and unique start-up eco-system. Its well organised and supported from the centre, unbelievably fast paced and dynamic and world leading especially in consumer facing applications. 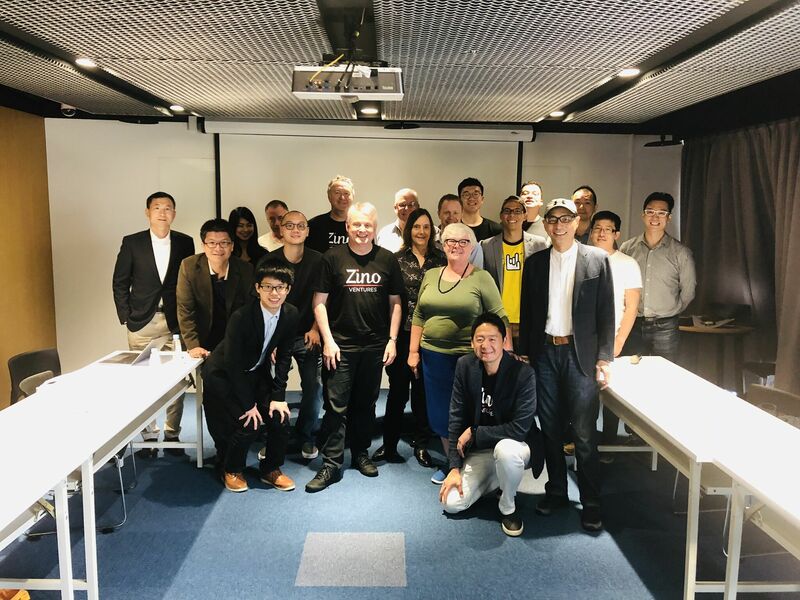 I would like to thank NZTE including Liam Corkery, Iris Zhang and Adrian Collier for its assistance in arranging the trip and my partners at Zino who pulled out all stops to ensure that we got great access to some of the key players. Finally a thank-you to my fellow angel investors and the founders on the tour who were, without exception, a pleasure to travel with.